Ariana Grande has released an official statement to fans and the people of Manchester following the terrorist attack at her concert on Monday night. A suicide bomb detonated as concert-goers left the Manchester Arena at 10:35pm on Monday night, killing 22 innocent people and leaving over a hundred others injured. Ariana Grande, 23, was confirmed to be safe and ‘okay’ in the immediate aftermath and tweeted a solemn message. The last 48 hours have been beyond devastating. As a father I cannot express my sorrow and my rage at this cowardice act. These were children. They were attacked because of our way of life. Our love of freedom and each other. There are no words that will comfort. There is nothing that can be said to make 22 return to their families today. I am so so sorry for their loss. I am so sorry to all those affected. The last 48 hours have been beyond devastating. As a father I cannot express my sorrow and my rage at this cowardice act. These were children. They were attacked because of our way of life. Our love of freedom and each other. There are no words that will comfort. There is nothing that can be said to make 22 return to their families today. I am so so sorry for their loss. I am so sorry to all those affected. Thank you to people of Manchester who have come together to help save lives and give shelter. Your courage and bravery is our hope. As I stated last night let's please all hold the victims, their families, and all those affected in our hearts and prayers. From myself and my friend @arianagrande …We are with you Manchester. We will not let evil win! Never! Thank you to people of Manchester who have come together to help save lives and give shelter. Your courage and bravery is our hope. We are with you Manchester. We will not let evil win! Never! Braun also released a statement in the immediate aftermath of the attack sending thoughts and prayers to those affected and thanking the emergency services for their dedication. While Ariana Grande is famed for her vocal range, she is loved by many for her forward-thinking attitude and her musical messages of love and acceptance. This attack is an attack on everything Ariana champions. The victims of the attack have since been named. They include 18-year-old Georgina Callandar, who was an Ariana Grande super fan and had tweeted her excitement at seeing her idol live in concert just yesterday. Georgina is among the many teens reported missing who have since been confirmed dead, including three 14-year-old girls, Nell Jones, Sorrell Leczowski and Eilidh McLeod, as well as youngster, Megan Hurley, eight-year-old Saffie Rose Roussous, 15-year-old Olivia Campbell and teenage sweethearts, Chloe Rutherford, 17, and Liam Curry, 19. Other victims have been named as John Atkinson, 26, Martyn Hett, 29, Michelle Kiss, 45, Angelika and Marcin Klis, 40 and 42, Alison Howe, 44, Lisa Lees, 43, Jane Tweddle-Taylor, 51, Kelly Brewster, 32, off-duty police officer, Elaine McIver, 50-year-old Wendy Fawell, 19-year-old Courtney Boyle and her stepdad Philip Tron, 32. Ariana has since reportedly been in touch with the families of those lost and offered to pay for all funeral expenses, as a gesture of solidarity at this devastating time. Mancunians have also united together in the face of this evil atrocity in an attempt to conquer evil with acts of kindness and hope, fundraising millions of pounds and holding moving vigil in remembrance of the victims. 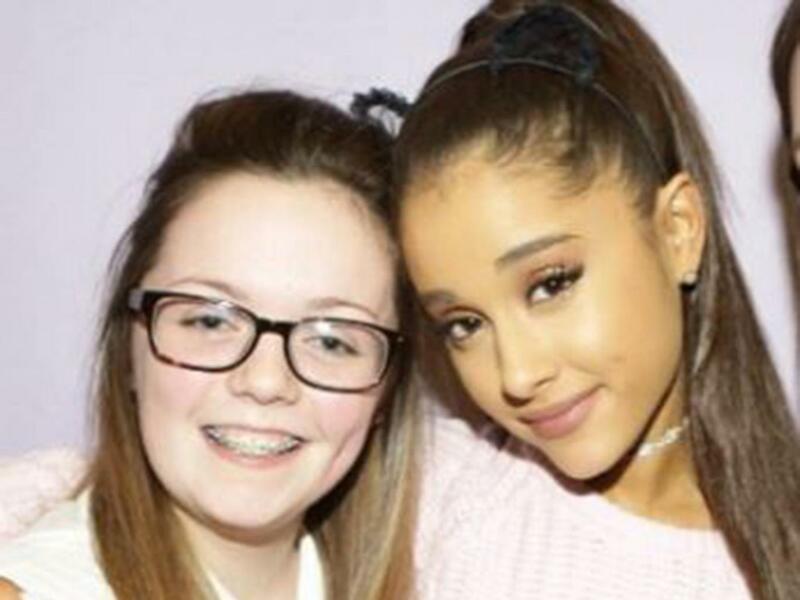 Our thoughts are with Ariana, her team, the bereaved families and anyone else affected by this devastating attack.